Quite often, the start of a new year heralds a period of slowness that’s reflected by weather that gets in the way of any plans but 2016 has got off to a productive start that promises to be an accurate predictor of more to come. While the weather has brought a bit of everything, we can say the same of good fortune. With events in the planning for throughout the season, we create opportunities for our members to try something new, discover hidden talents and develop those interests that have lain in wait for the right opportunity to present itself. Our approach seems to have paid dividends in terms of meeting our aims – as we preserve our spaces as places of sanctuary for self discovery and self development to facilitate a self-managed approach to coping with real life and its complexities. Our members value the freedom to think and express themselves without fear of ridicule for not conforming to the conventions of the crowd. Indeed, it is precisely this freedom from suffocating restrictions, so often imposed quite unnecessarily, that make it work. It seems it has to be lived to be understood and while some people may yet feel happier to cling on to the safety rails of cliques and confinements, we are proud to witness our fellow gardeners grow in every sense of the word. 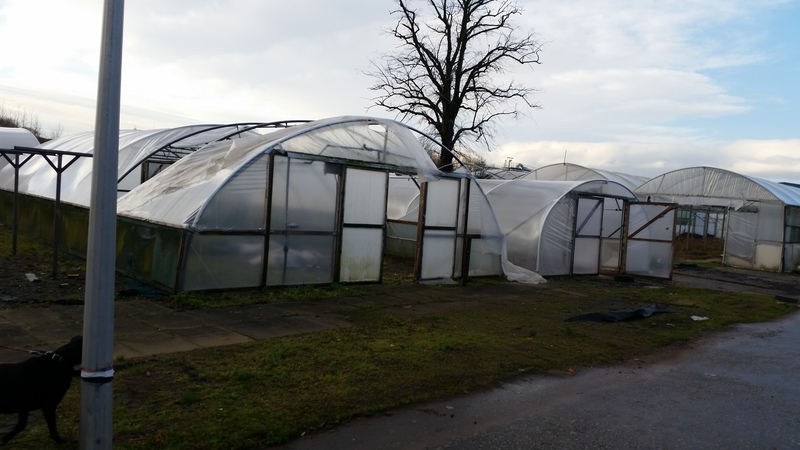 So, a little like our polytunnels and greenhouses at one of our new sites, we may come together a little life-weary and battered but renewal is just around the corner. It’s a renewal that is all the more effective because we’ve worked together to help each of us get the best out of what we have created as a group of individuals, each with an outlook and an ability that, in turn, helps to benefit the group as a whole. So the only conformity we encourage is the mutual respect between our members that facilitates each person’s ability to reflect on what they have grown over the season and how they have grown as an individual. That can be a difficult transition to make but if you sense its presence in our spaces and understand the prospects of what that can mean for you, it will continue to deliver people who feel stronger as they person they are, appreciating the strengths that they have while becoming increasingly able to thrive in a world of stifling restrictions and manipulation. And so, as we break from the mould, renewed and restored, we continue to welcome those who really, truly recognise how to understand nature, understand life. This entry was posted in 2016 and tagged Gardening, Growth, Mutual respect, Peer support, Restoration, Self Empowerment. Bookmark the permalink.